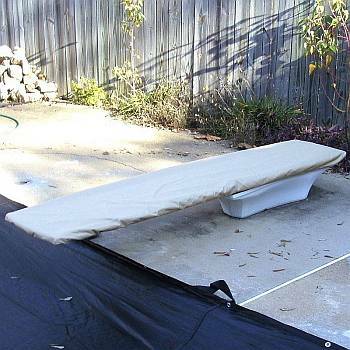 Sta-Rite has long been an innovator in pool products. The Max-E-Therm In Ground Swimming Pool Heater is one of the many products offered by Sta-Rite that has been proven to outshine other pool heaters. 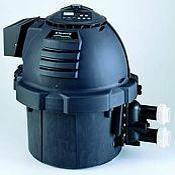 Since this particular pool heater has been on the market all of the flaws and bugs have been worked out and the heater itself has been fine tuned to provide years of reliable service. Free Shipping!!! No Additional cost for shipping!!! Some of the unique characteristics of the Max-E-Therm Pool Heater, it is made of Dura-Glas® - a sleek, lightweight and rustproof material that withstands heat and the elements. This enclosure carries a 10 year warranty. This heater is also much lighter than the others, which makes for less expensive shipping. Weatherproof temperature controls can be set to your specifications. Pivoting UV-resistant plastic visor covers the Digital Display. Accommodates temperatures for both a pool and a spa running off of the same heater, in Fahrenheit (°F) or Celsius (°C). Combustion technology improves Efficiency and reduces operating costs. The combustion technology will also heat your pool quicker saving you money on gas. The three sizes available are 83% efficient or higher. The Max-E-Therm has an internal safety feature that sets maximum temperature levels. Full diagnostic lights for troubleshooting problems that will let you know whether to to service the heater or the pump/filter system. 200,000 BTU - SR200 Pools up to 450 sq. ft.
333,000 BTU - SR333 Pools 450 sq. ft. to 650 sq. ft.
400,000 BTU - SR400 Pools 650 sq. ft. to 1,000 sq. ft.
Max-E-Therm 200,000 BTU Gas Pool Heater-NEW PRICE!